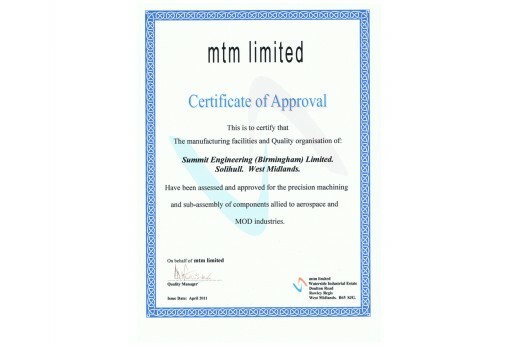 UTC Aerospace Systems Approved Supplier. Manufacture and supply of machined Components on a make complete and/or ‘Off-Load’ basis. Procurement of raw materials for manufacturing purposes from necessary approved sources. General assembly of components without the requirement for functional testing. Provision of special processes from UTC Aerospace Systems approved sources.